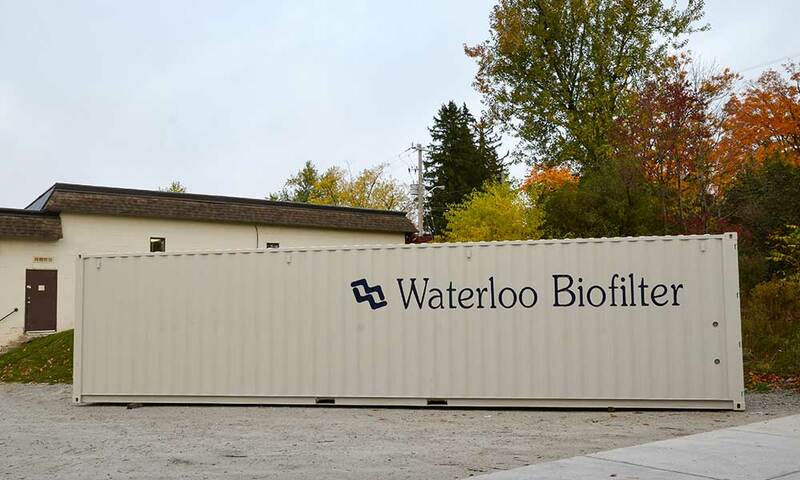 SC-20 and SC-40 Shipping Containers from Waterloo Biofilter are the ultimate in transportable advanced onsite wastewater treatment systems for commercial, communal, clustered, and high strength applications. 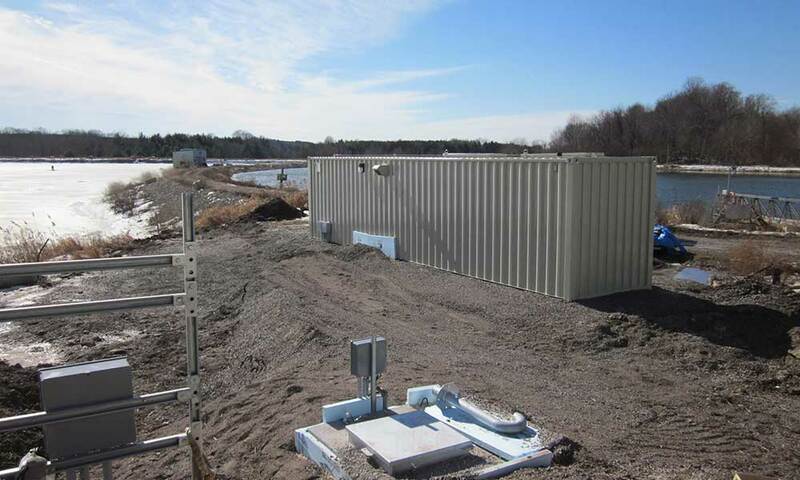 SC-20s and SC-40s are packaged wastewater treatment systems that can treat 20,000 L/day (5,300 US gpd) and 40,000 L/day (10,600 US gpd) of residential strength septic tank effluent to tertiary, sand filter quality. 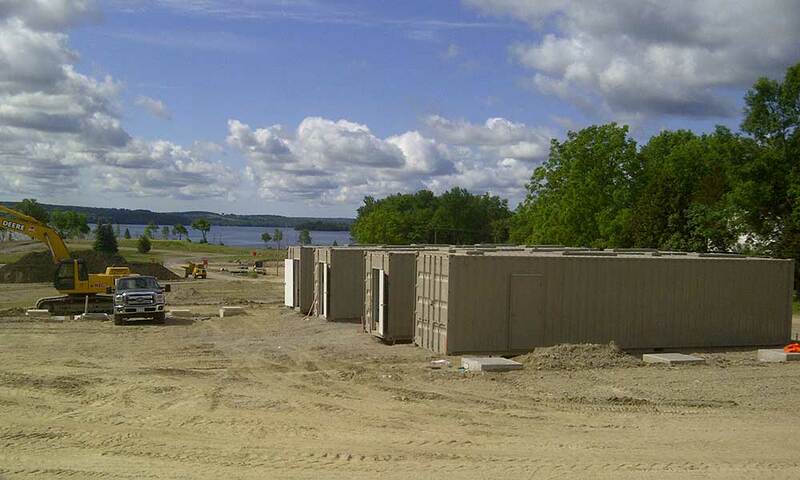 These flows are equivalent to 10 and 20 4-bedroom homes, respectively. 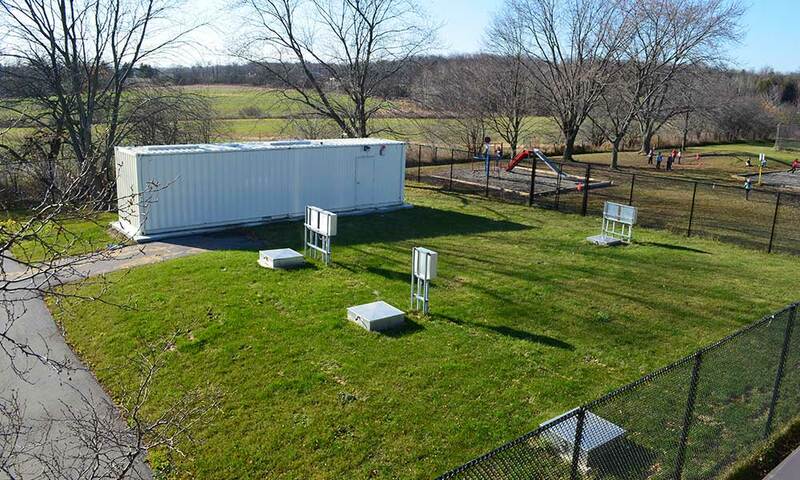 Shipping Container Biofilters have been engineered with system performance and ease of installation and maintenance in mind. 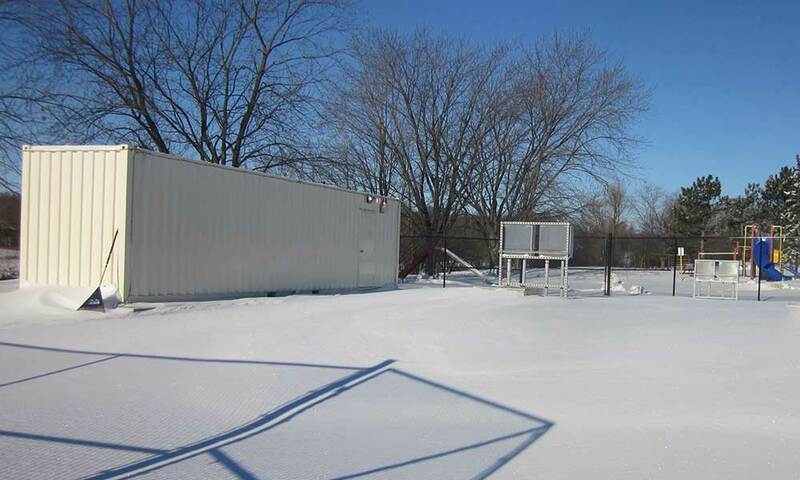 SC units come complete with a spray foam insulated treatment room, and a control room that houses the control panels and other electrical equipment. 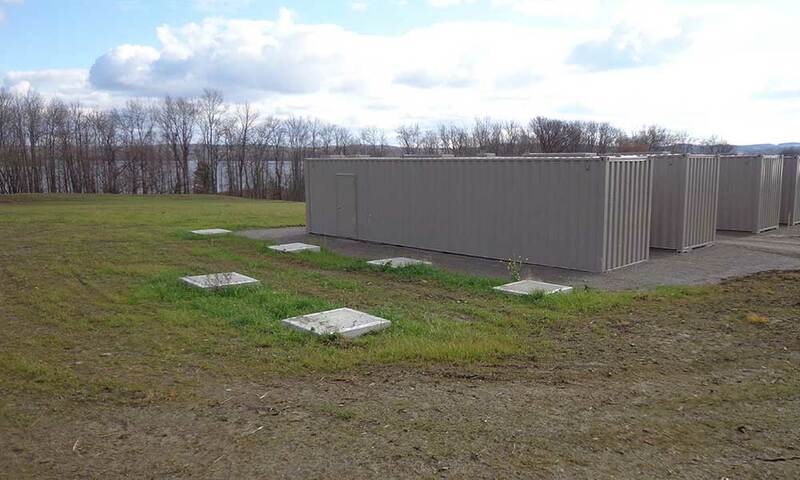 SC units are custom painted to match their surroundings and easily blend in with a maintenance area, or can be hidden from view by fencing or hedges. 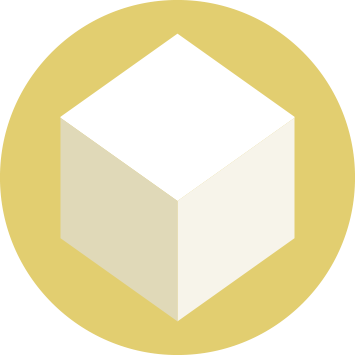 External air vents are fitted with activated charcoal filters to block odours. 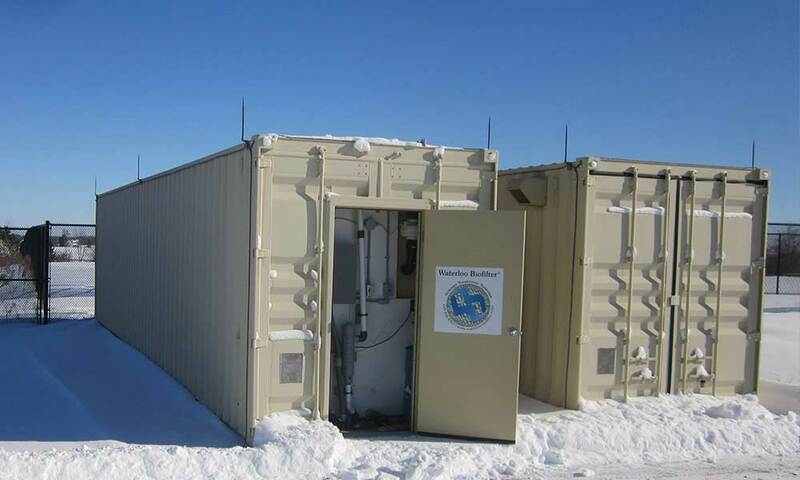 Shipping Container Biofilters can be custom designed to meet your project’s specific requirements. 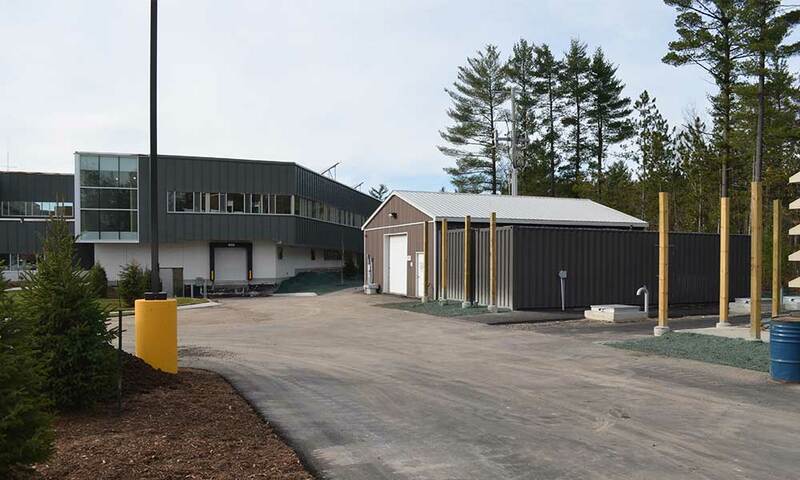 The control room can be expanded to house additional system equipment such as UV disinfection, chemical addition, or to provide working space for facility staff and operations and maintenance personnel. 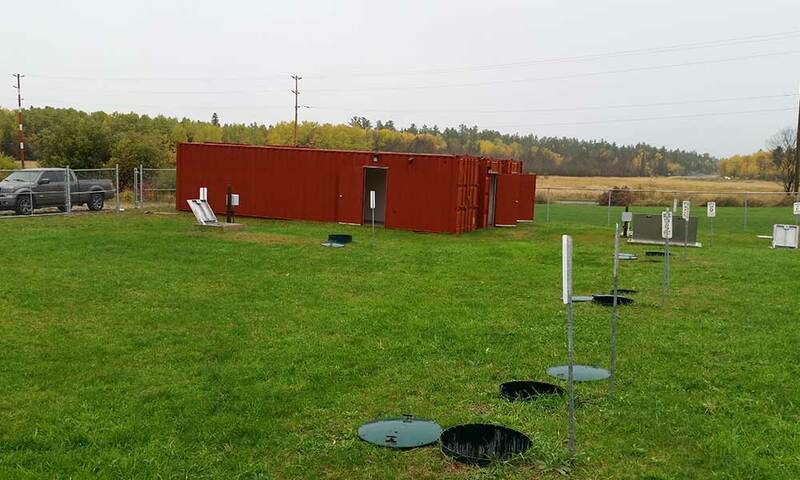 Our experienced staff will be happy to work with your project engineer to deliver a cost effective, low energy, low maintenance, and permanent septic system solution. 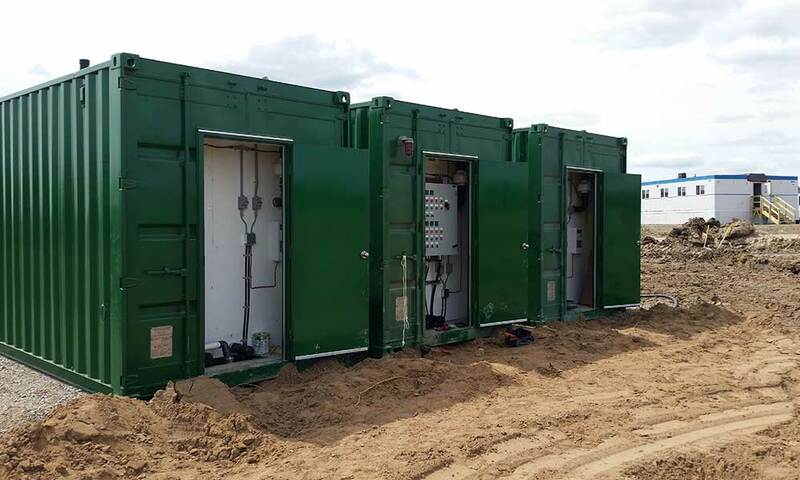 Please contact us for more information on the capabilities of our Shipping Container configuration or to receive a quote for your decentralized wastewater treatment application. 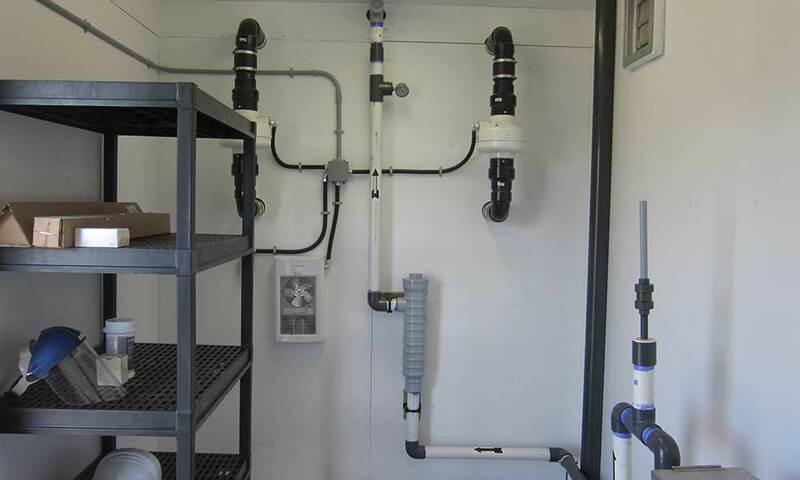 SC treatment units come pre-assembled; installation time and complexity is greatly reduced with minimal plumbing and electrical connections to be made onsite.